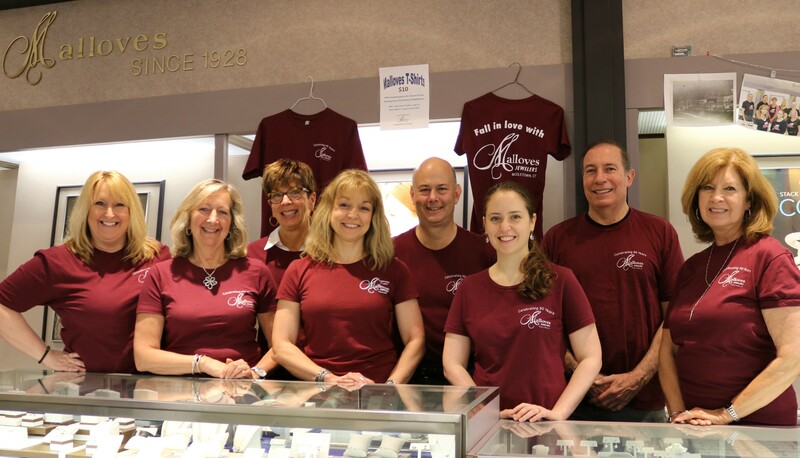 Malloves Jewelers - Middletown CT - All About Our Store & Staff! We are known for our excellent customer service–it’s our first priority. You won’t find a friendlier or more knowledgeable staff anywhere else. We will go that extra mile to ensure that you have a pleasurable experience and that you leave with a smile on your face, feeling completely comfortable and at ease with your purchase. If you’re looking to purchase a diamond or piece of jewelry, our knowledgeable staff is happy to assist you. We will take the time to clearly explain the important details you need to know. We have a large selection of diamonds and gemstones in various cuts and sizes, but if your perfect stone is not in our store, we will search high and low to bring it in for you. At Malloves you will find a no pressure atmosphere where you can receive an education about what to look for in a diamond or gemstone without feeling intimidated into purchasing something you don’t want. Aside from our remarkable jewelry selection and services, Malloves also has a wide selection of giftware. Need to pick up something for a wedding, baby shower or first communion? We are your solution! Malloves carries great gift items for weddings, a wide selection of baby gifts & jewelry, and religious jewelry. 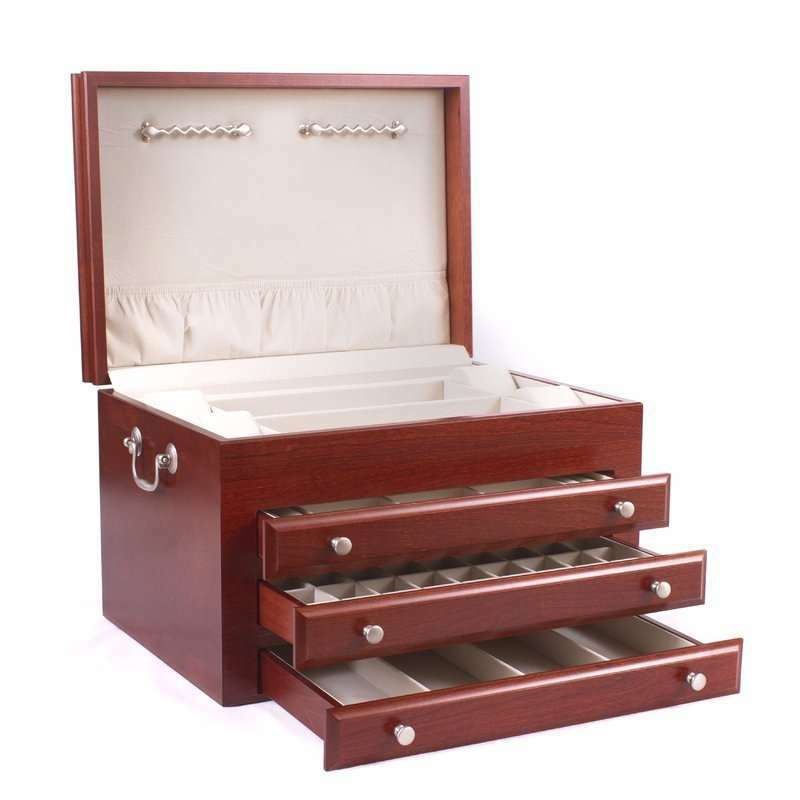 We also have beautiful clocks, signs and of course, jewelry boxes! No matter what the occasion, Malloves can provide you with exactly what you’re searching for! In 1928, Malloves originally had 5 stores: Middletown, Danbury, Norwich, New London and Fitchburg, MA. When the original Malloves’ family sold their businesses in 1938, brothers-in-law Max Levin and Joseph Levine decided to buy the Middletown jewelry store and incorporate it with their gift store. They moved the jewelry store from 262 Main Street to 471 Main Street and Malloves of Middletown was born. On July 11, 1940, Max was killed in an automobile accident. Max’s son Buzzy, then just 13, began to help out with the family business. During Buzzy’s senior year of high school, his Uncle Joe decided to take a break from the business. It was then that Buzzy decided to stay on with the family business –even though he had a try-out with the Brooklyn Dodgers. Buzzy says he never regretted that decision. Buzzy Levin officially bought the business from his Mom Beatrice and Uncle Joe in 1957. That was the year Buzzy married Harriet Silver. Buzzy prided himself on building a business based on hard-work and hand-shakes. Malloves was a place where a young couple could establish credit by purchasing their wedding rings for $1 down and $1 a week. Buzzy ran Malloves Jewelers through times of great success as well as great struggle including a fire on December 20, 1972 which completely destroyed the store. Malloves desperately wanted to remain on Main Street so Buzzy moved to a temporary, smaller store for two years before permanently relocating to our current location at 404 Main Street in Middletown in 1974. In 1983, Buzzy’s son Marc joined the Malloves team after attending the University of Tampa. In 1992, Marc decided he could be very happy in the jewelry business and took over on April 1, 1992 and the rest is history! Marc is entering his 27th year as President of Malloves Jewelers. Most of the staff has worked at Malloves for over 15 years and Tom and Frank just celebrated their 30th anniversaries as Malloves employees. Buzzy Levin passed away in 2017, but the Malloves family tradition lives on in all of us. They’ve been our family Jewelers for years! Friendly staff, very helpful. Will always find great gifts here at a reasonable price! Bill G. & Helen B. Get email updates on special events, sales and more! Tue, Wed & Fri: 9:30 a.m. – 5:30 p.m. Thursdays: 9:30 a.m. – 7:00 p.m. Saturdays: 9:30 a.m. – 5:00 p.m.